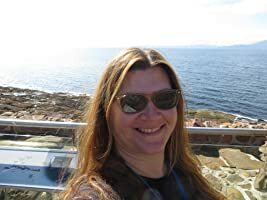 In 2015, I decided that I wanted to walk Scotland’s West Highland Way, a 96-mile trail that runs from just outside of Glasgow to Fort William, in, well, the west Highlands :). I’d been to that part of Scotland a few times before and knew how spectacular it was, and I thought it would be amazing to see that stunning landscape on foot. I should preface this by saying I was not a hiker. I’m from Long Island, NY, where there is virtually no terrain, so hiking was never a pastime of mine. And I still live on Long Island, which meant that there were no hilly trails on which I could train. 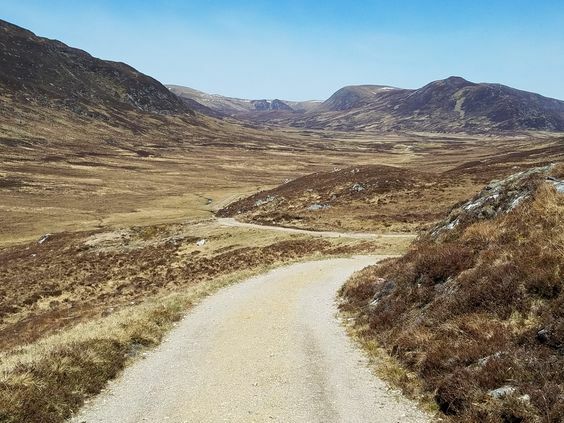 How the heck was I going to walk nearly one hundred miles in the Highlands (a question asked by more than one person who knew me well)? But when I get an idea in my head, I can’t let it go. 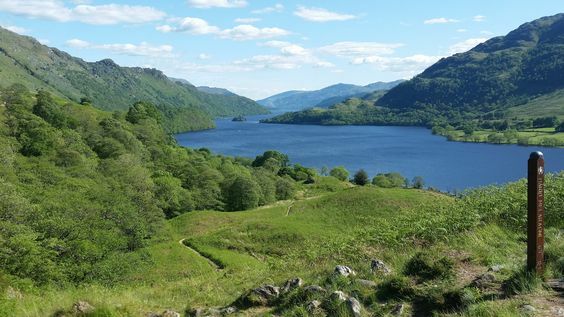 Research led me to a company that does guided treks, and after asking a million questions, I booked the West Highland Way trek for May 2016: seven days of hiking with eleven strangers and a guide. I “trained” by walking the (flat, paved) bike path to Jones Beach, a state park on Long Island’s south shore, and was proud of my consistent time of about three hours to do the ten-mile round trip. I did some hikes on a few lovely local trails. And hey, I work in NYC—I walk a lot, and I walk fast, and there are lots of stairs to get to my office. I thought I might be okay. I returned home with a feeling of accomplishment, blisters, and sore muscles—and the idea for a book. The heroine could be a novice hiker who’s doing a long-distance trek in Scotland. She butts heads with the guide, who doesn’t think she belongs there. 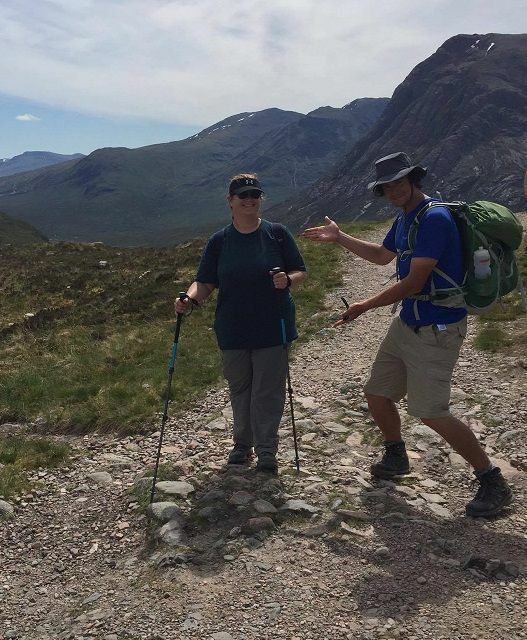 I’d set it on the notoriously challenging Skye Trail, because the West Highland Way, while difficult for me, isn’t that bad if you’re an experienced hiker. 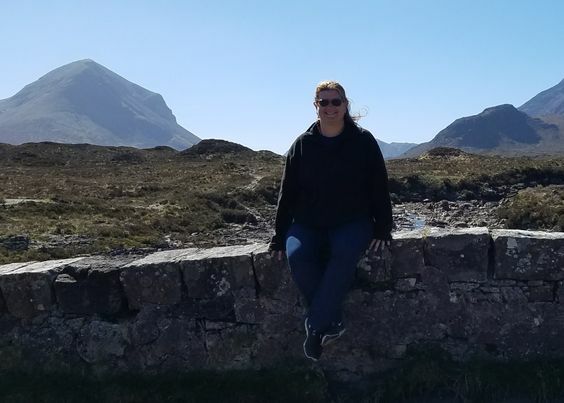 And having been to Skye before, I knew how utterly spectacular it was, with its dramatic mountains, unearthly-looking rock formations, and stunning views of the sea. What better place to set a book? The story developed further. 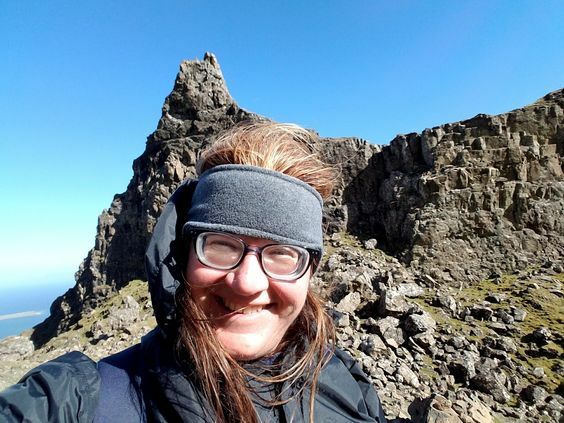 I didn’t want the heroine to be careless, someone who would hike the Skye Trail without any training or experience, so she’s doing it not because she has to, for “reasons” (you’ll have to read it to find out!). And the guide—who’s Scottish, obviously—isn’t just a jerk (because he’s the hero, and we need to love him); he has his own demons to deal with. My editor at Entangled loved the idea and set a due date of September 1, 2017 for the manuscript. I knew I couldn’t write it until after I did my second trek in May 2017 (the East Highland Way this time, which was thankfully less hilly). I wanted the pain to be fresh. I added a few days on Skye to the end of that trip for research—what a hardship that was! I sent long-winded emails to Alex, my guide on the WHW, and Scarlet, who runs the trekking company. And I wrote like a maniac, finishing a first draft in ten weeks. I hope you love Under A Storm-Swept Sky. 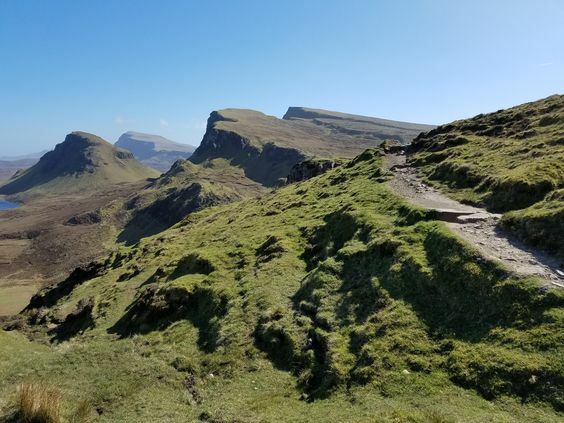 And if you look at the photos from my two hikes and Skye and think “OMG, I would love to hike there,” then check out www.thistletrekking.co.uk. 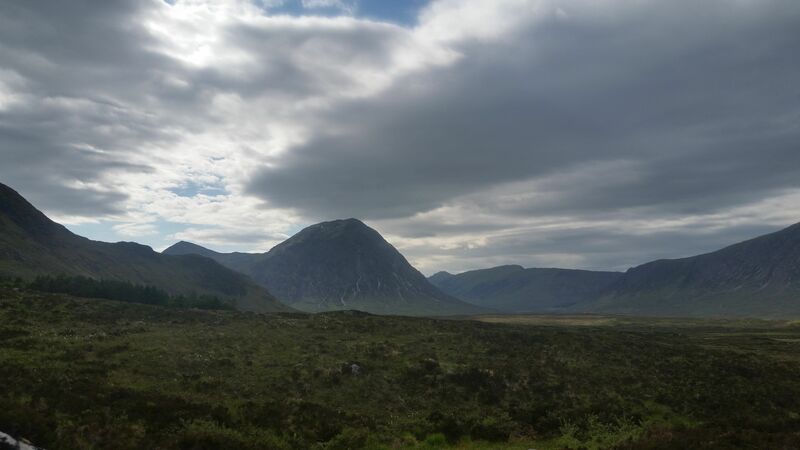 Here are some photos from the West Highland Way and Skye. I’m now looking ahead to a hike in Wales in June 2019! 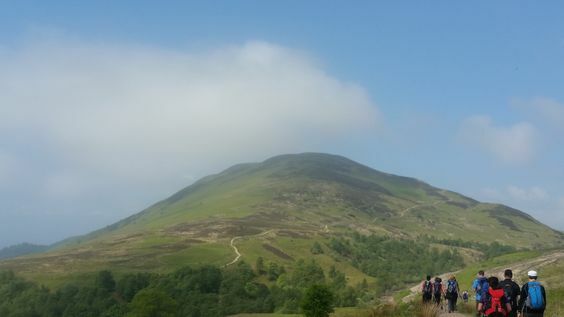 Approaching Conic Hill (of Doom) on Day 2 of the West Highland Way, 2016. 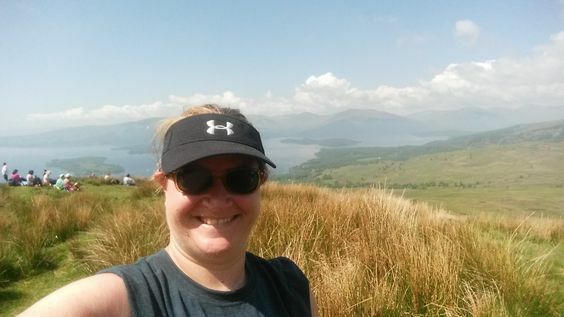 Beth Anne after making it up Conic Hill. Looking back at Loch Lomond on Day 3 of the WHW. The iconic Buachaille Etive Mor under a moody sky, Day 5 of the WHW. Beth Anne and guide Alex at the top of Devil’s Staircase on Day 6 of the WHW. 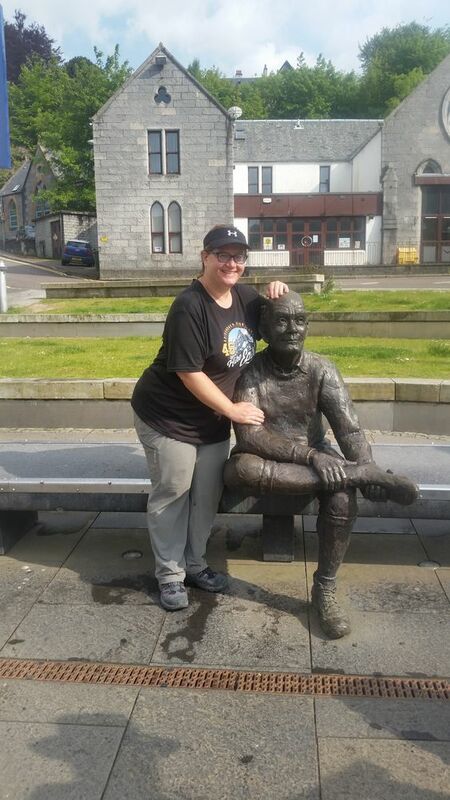 Beth Anne at the end of the WHW in Fort William. 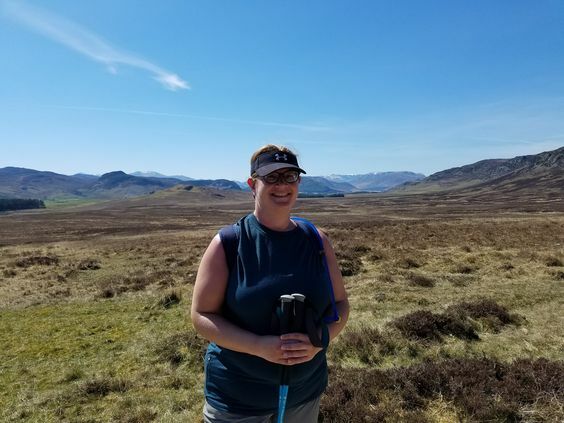 Beth Anne on the East Highland Way in 2017. Along the East Highland Way. 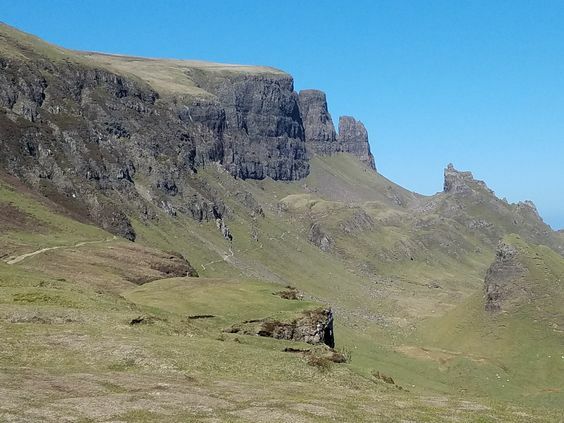 iew of the Trotternish Ridge on the Isle of Skye, 2017. Beth Anne at the Quiraing, Isle of Skye. Beth Anne at the Sligachan Bridge, Isle of Skye. To see more of Beth’s trip, find her on Instagram. 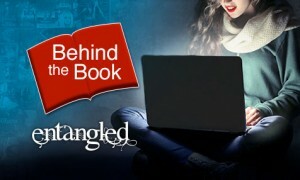 She’s taking over the Entangled Publishing account to share her journey. 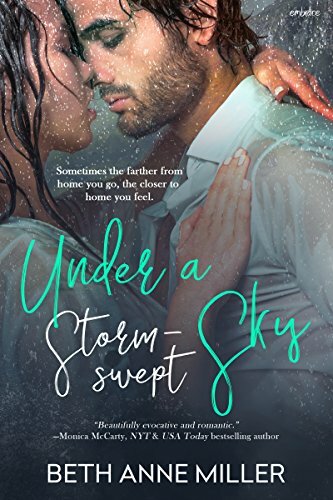 Don’t miss your chance to get Under a Storm Swept Sky for just 99¢! It’s a KINDLE DAILY DEAL, so grab your copy today!